We’re offering a $25 off coupon for a deluxe cleaning special to honor all men and women who have served in the war to keep us safe. A house cleaning service can work directly with you to develop a custom cleaning plan that suits your unique needs and preferences. Such a plan specifies how intensely you want a maid to clean your home, as well as which particular areas you want them to give the most attention and time. Santa Barbara and Ventura maids are excellent solutions for homeowners wanting to maintain a clean, organized home without the hassle of cleaning it themselves. For more information about housecleaning options, visit https://www.cleaningbyrosie.com, because when life gets busy, cleaning is one of the first items to get tossed to the side. 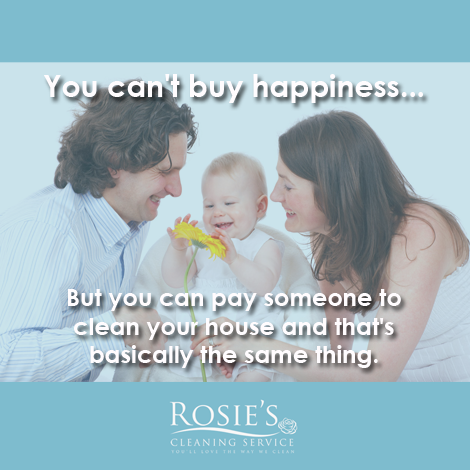 Let Rosie’s Cleaning Service keep you on the right track. This Memorial Day weekend, if you are looking to clean your home for a party or event, call our team of Santa Barbara Maids. Adept and on task, we listen to your requests and turn your worries and anticipated fears into peace of mind. We realize every home and budget differs and are willing to design a cleaning plan that meets with your budget and priorities. 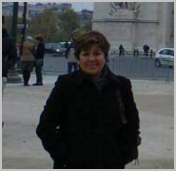 Our team of Santa Barbara Maids are highly skilled, willing to follow directions and able to start immediately. And we are not picky. If you would prefer your own cleaning supplies or equipment used, just let us know beforehand. 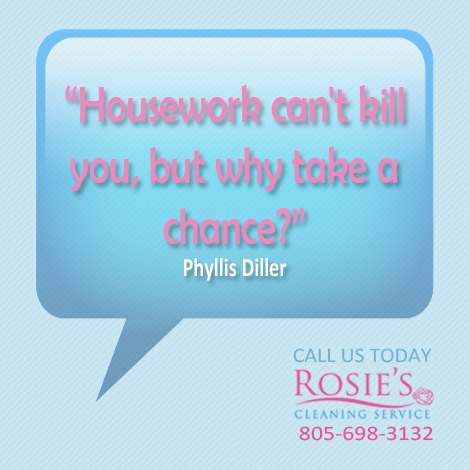 Let Rosie’s maids in Santa Barbara take the burden of housework out of your life with a weekly scheduled cleaning. We will revamp your home by targeting areas often ignored in day-to-day cleaning, such as baseboards, cabinet doors/knobs, fans and blinds. We will use disinfectants and special equipment to kill germs and fight bacteria throughout your household, transforming it into a germ free zone. 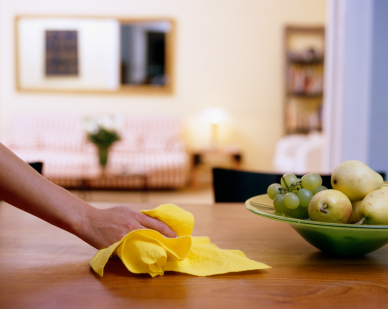 A deep home or office cleaning, entails dusting, sweeping, polishing and mopping by our team of Santa Barbara Maids. Home and office cleaning in Santa Barbara will be a breeze, because the maids are skilled and driven, leaving every square inch of your office scrubbed down, sanitized and spotless. Consider this, when paying for a maid – it is not just the expertise you are paying for; it’s also the cleaning equipment. Why invest your own money into expensive cleaning supplies or the time it would take to learn to use them? Our professional cleaners will come equipped with everything necessary to get the job done. We will destroy the grease and grime that is hard to see, along with the dirt and dust hiding under your furniture or in the corners behind the door. Areas that are typically missed when mopping sparkle with cleanliness, and the mold and mildew of tile and showers disappear. Furniture should be moved to allow floor underneath to be fully cleaned, especially if there are pets in the home; hair tends to culminate along furniture’s edge. The deep cleaning process will remove festering bacteria and destroy lingering odors, leaving every inch of your home fresh and looking brand new. When your home is dirty or disorganized, it is sometimes difficult to focus on anything other than the surrounding clutter. Rosie’s Santa Barbara and Ventura housecleaners can help you organize and eliminate the chaos in your home, straightening it up and getting everything back into order. We can take out the trash – even pick up trash – if things such as newspaper, age old magazines, empty soda cans etc. decorate your home. Don’t give up. 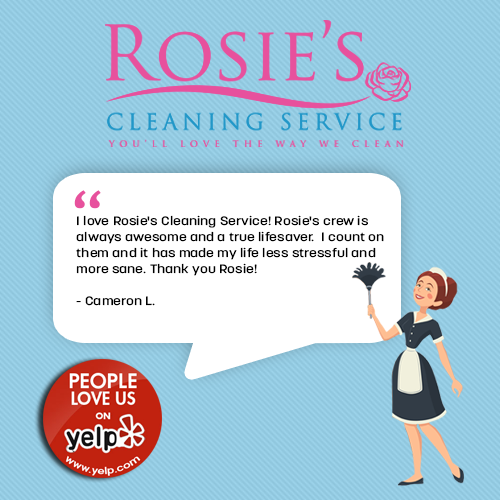 Instead, call Rosie’s Maids; it will be life changing and utterly satisfying. You will have more time on your hands … for anything. You will regain a sense of pride in your home and the confidence to entertain guests. If interested in house cleaning in Ventura or Santa Barbara and the surrounding areas, contact us for a quote on the tasks you have in mind. You won’t be disappointed! Rosie’s Maids are readily available and accessible online and in your local business directory. Even better, they are willing to work around your schedule. Upbeat and highly focused, they are the perfect solution for someone working long hours, able to clean your home immaculately without you even present. In doing so, they allow you to focus on other, more important, aspects of life instead of worrying about dishes and laundry. After hiring us, you will be guaranteed a clean home, making your life much more enjoyable and your home more relaxing and welcoming when you come home. Everyone wants to live in a clean home, the pressures of family, work, health and the overall havoc of life sometimes do us in. 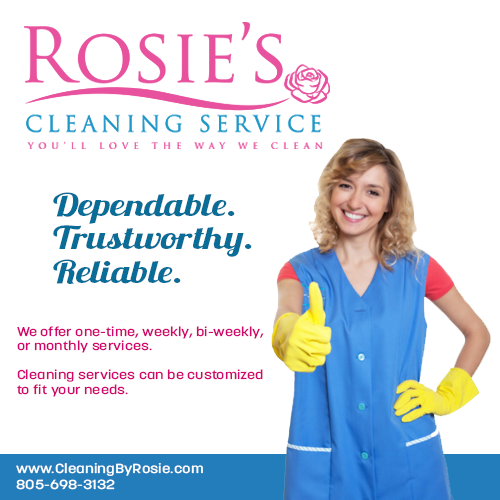 However, a maid service such as Rosie’s Cleaning, you’ll get the assistance you need to get things done. If you hire a maid service and sign a contract, the contract ensures you receive regular house cleaning, usually at a specified rate. This guarantees you can always come home to a clean place. Rosie’s Maids offers over two decades of experience in the cleaning industry, which results in stellar cleaning services. As cleaning professionals with extensive training regarding how to use cleaning equipment and chemicals properly, you can enjoy peace of mind knowing that Rosie’s maid service will clean your home deeply and effectively. Sweep, scrub, wax, or polish floors, using brooms, mops. Deliver television sets, ironing boards, baby cribs, and rollaway beds to guests’ rooms. Keeping your house clean is important for you and your family for many reasons. With a clean home, you’ll spend less time looking for things you’ve misplaced. Simplify your life by going through the mail when you receive it and getting rid of unneeded papers or household items when you don’t need them. You’ll feel better when your home is organized and you’ll find what you need in its rightful place. Where possible, we’ll use green cleaning products for the protection of our environment and future. Our vacuums all have hepa filters ensuring we’re not just blowing dust around your home. A quality cleaning service means different things to different people. Our services are fully customized and tailored to meet your needs by initial walk throughs and periodic reviews. Our ultimate goal is providing impeccable cleaning services exceeding all of your expectations! Memorial Day was originally called Decoration Day to honor the fallen in war; soldiers would decorate the graves of all who had passed with flowers, flags and wreaths. Several towns claim to be the originators of Memorial Day, but in 1966, Congress declared Waterloo, New York to be its birthplace. Waterloo first celebrated Memorial Day on May 5, 1866. The Thursday before Memorial Day, soldiers from the 3rd U.S. Infantry (The Old Guard) place small American flags at each of the more than 260,000 gravestones at Arlington National Cemetery. They then patrol the cemetery during the weekend to ensure that each flag remains standing. Several towns claim to be the originators of Memorial Day but in 1966, Congress declared Waterloo, New York, to be the birthplace of the holiday. Waterloo first celebrated the holiday on May 5, 1866. Thank you to all our armed forces and those who sacrifice to keep us safe!